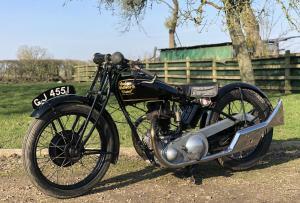 Rudge Ulster Grand Prix 1930 500cc , Vintage , So A Great Banbury Run Machine ; Last Banbury Completed In 2007. It's Also In The 1992 VMCC Register , Which States The Frame , Engine And Gearbox Numbers . In Absolutely Original Condition , Apart From An Engine Change , Many Decades Ago , With An Identical 1930 Replacement And Replica Chain Guard. Starts Easily , Runs And Rides Very Well , With Everything Working As It Should. These Are Rarely For Sale And Are Light , Very Quick ( 4 Valves ) , 4 Gears ; Large Diameter Brakes ; Good Job Too , As It Can Break The National Speed Limit! Comes With Old Cardboard Buff Log Book , With Its Original, Transferrable £2500 Value Reg Number ; Current V5C , Old Mots And Tax Discs ; Banbury Run Number Cards . Tax And Mot Exempt . 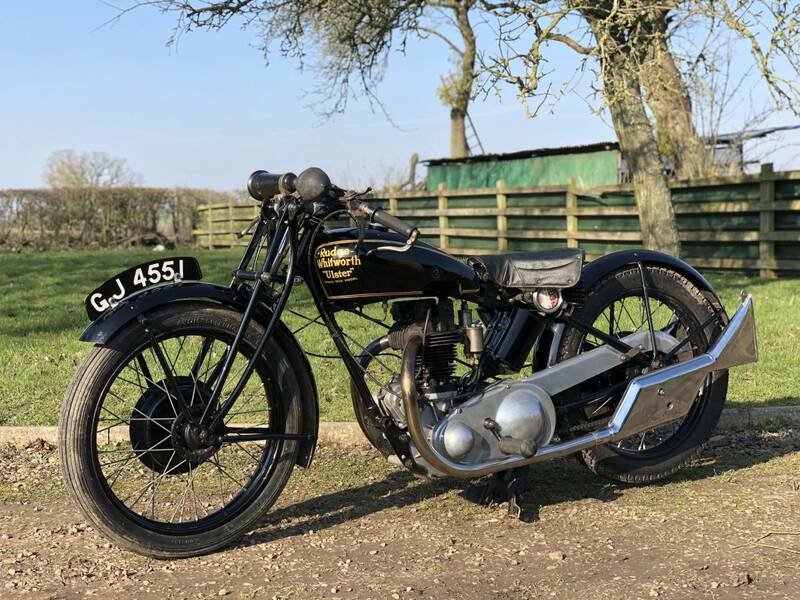 Only Sold Onto Us , By An Elderly ,Experienced Engineer , Who Is Now Concentrating His Efforts On His Old Velo's And Veteran Machines , As The Rudge Was Too Quick For Him! This Is A Rare And Desirable Example , That Looks Lovely .And Rides Very Well. Great Investment. 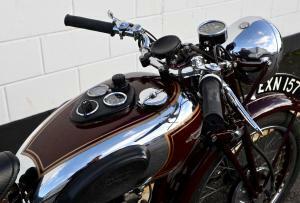 The Rudge Ulster was a British motorcycle manufactured by Rudge-Whitworth from 1929 until the outbreak of World War II. 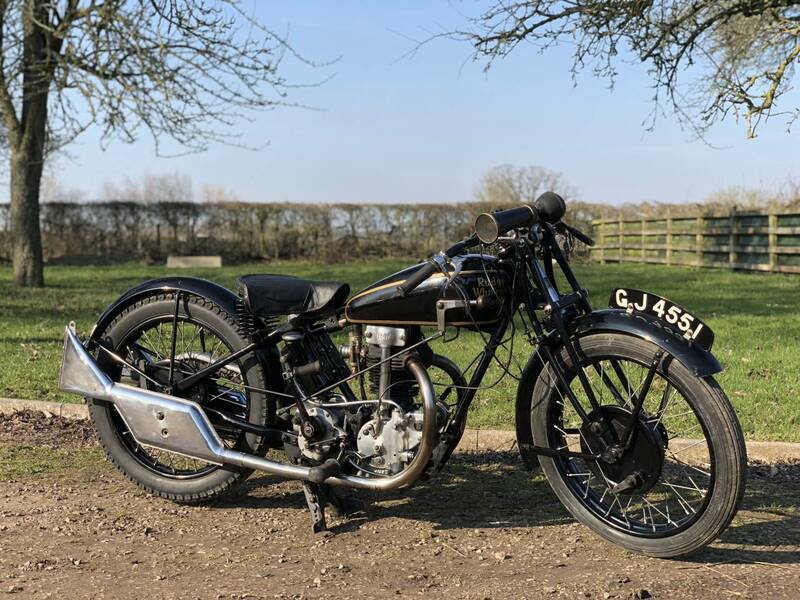 Rudge-Whitworth's last production racing motorcycle was named after Graham Walker's 1928 race win in the Ulster Grand Prix, only the second time a road race had been won at over 80 mph ! Graham was the father of racing commentator Murray Walker and was made Rudge Sales Manager in 1929. His win was particularly welcome as he had been unlucky in the Isle of Man TT on the same motorcycle two months earlier, when he narrowly lost the Senior TT race due to oil flow problems on the last lap ! Originally developed as a racing prototype, the production model was essentially a race replica. Various modifications and improvements were made over the ten years of production. Early models had a 'pent roof' four valve head, with two pairs of valves operating on parallel slopes like a 'pitched roof', which was replaced in 1932 with a radial four valve head and an option of a foot operated gear change. This foot pedal operated both the front and rear brakes, with a hand lever also operating the front brake. With a top speed of over 90 mph , the Rudge Ulster was advertised as "probably the fastest 500cc motorcycle in production". 1933 was the era of the Great Depression and Rudge, struggling to make the sales needed to further develop the Ulster, went into receivership. In 1936 EMI (previously the Gramophone Company Ltd. and maker of HMV records), who were a major creditor, took over and resurrected the Rudge Ulster and moved production to their works in Hayes, Middlesex in 1937 The valve gear, which had always been exposed to the elements was sorted out in 1937, when a cast alloy cover was added - although the bronze cylinder head remained until it was replaced with a light alloy example in 1939. Production ended with the outbreak of the Second World War, when EMI had to put all their resources into the manufacture of Radar and electronic equipment for the war effort . From the days of the Gramophone Company, EMI, had had a policy of diversifying productions into other fields, like typewriters, as a strategy to avoid downturns and recessions. As well as Walker's 1928 Ulster Grand Prix win, in the same year Ernie Nott secured the world two-hour record at over 100 mph on the Rudge and set further records in 1929 . In 1930, under the guidance of team boss George Hack, Nott, Walker, Smith and Wal Handley were on Rudge 500 cc motorcycles for the Isle of Man TT Senior race, Handley winning at a record speed of 74.24 mph with Graham Walker coming second, Smith 6th and Nott 7th, winning the Team Prize for Rudge !